Check processing has come a long way in the past ten years. 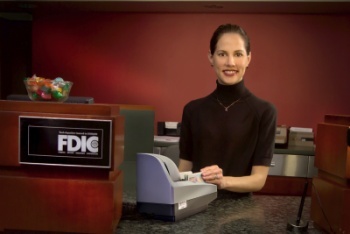 In 2003, the Fed began an initiative to reduce the number of locations processing paper checks, then 45. As of 2010 that number was reduced to one location in Cleveland, Ohio. In 2003, check scanners were rare and smartphones even rarer. Today, hundreds of thousands of tabletop check scanners have been sold and millions of smartphones. In 2003, three days float between writing and clearing a check was common, now you are talking about hours and maybe minutes for clearing. Today, most checks are processed electronically. Check processing has been revolutionized in the past ten years. Digital Check’s Bank Resources section is designed to take the mystery out of check processing. Terms and acronyms like MICR, OCR, thresholding, and more are explained in laymen’s terms. Questions like whether to implement a front counter teller capture or branch back counter solution are discussed. We also highlight best practices that we’ve gleaned from our extensive industry experience over the past nearly twenty years of selling and implementing check scanner solutions in the top U.S. banks and around the world. We also showcase an industry success story in teller image capture with Extraco Banks, an innovative and award-winning model in retail banking. We hope you will be enriched as you spend time searching through the site. Don’t miss our Business and International Resource Centers.